Kept it local today in more ways than one. 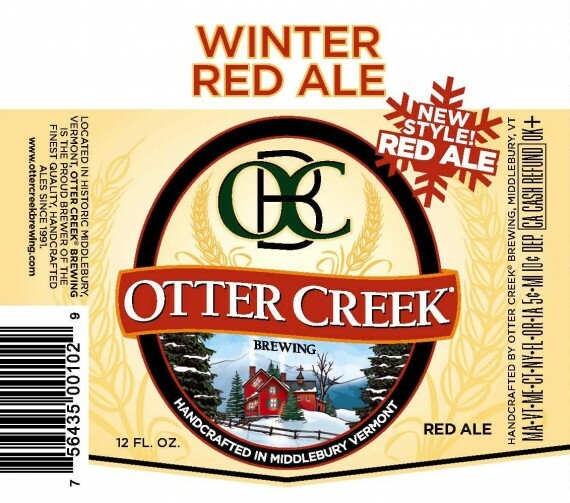 Knowing I’d be doing the regular Saturday evening beer tasting at Forty Putney Road B&B in Brattleboro tonight, as I have from time to time, I tried to make sure the Otter Creek Winter Red Ale would be among the offerings. And so it was. The only real problem was going to be getting there, since the snows returned this afternoon. And it’s still snowing. But I made it there and back, so here’s the tale. Innkeepers Tim and Amy Brady, briefly profiled here, recently handed over the keys and are off to concentrate on their Whetstone Station venture in Brattleboro. The new mother and daughter team of Rhonda and Brittany Calhoun, fresh from Florida, are getting their boots wet in a hurry. 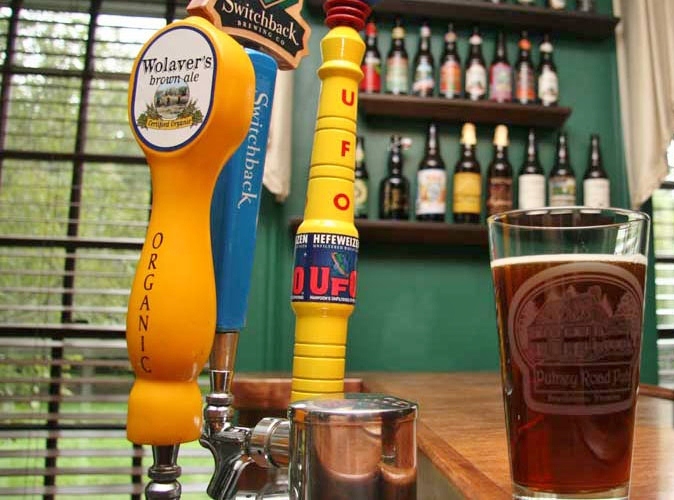 Nice to hear they’re continuing the tastings, a chance to showcase mainly Vermont beers to the mainly out-of-towners who visit the inn. In keeping with the season, we threw in a couple of agreeable surprises, a Westmalle Tripel and a new Kentucky Bourbon Barrel Stout from the Alltech Brewing and Distilling Co. in Lexington. Otherwise it was Vermont beers all the way (giving Harpoon a pass because of their Windsor facility): Harpoon UFO White, Wolaver’s Brown Ale, McNeill’s ESB, Magic Hat Heart of Darkness Stout, Rock Art Ridge Runner Barley Wine, and the Otter Creek Winter Red Ale. We had a full house of a dozen tasters, and one of the marvels of the new world of beer diversity is how favorites were all over the map. Several said the Winter Red was their top pick, others shrugged their shoulders. I’m somewhere in-between. It’s a good beer, with a nice hoppy nose (Nugget, Centennial and Calypso hops) and the malts (Caramel, wheat and roasted barley among them) lending an almost cotton candy sweetness to the palate. It packs a medium mouthfeel, and a refreshing tang at the finish. Along with the Newcastle Winter IPA (5.2%) and the Anchor Our Special Ale (5.5%) the Otter Creek is among the lower of the ABV offerings in my Twelve Beers of Christmas series. (Until tomorrow, anyway.) That may be why I kind of wish I had another right now. But I don’t, and I don’t imagine I’ll rush out and buy some more for myself. The main reason is that I’ll be looking for Otter Creek’s new offering, a Russian Imperial Stout that’s clocking in at 10% ABV. On the other hand, the Winter Red is a beer I would quite likely buy for guests, who don’t always share my proclivity for sorta weird beers or those that can lay you out in a hurry if not careful. It’s a good, slightly different Vermont beer, easy to drink and easy to enjoy. And if there’s some left over for me, it’s not a problem.